We've all heard the stereotypes of gamers chugging liters of Mountain Dew with greasy, orange, Doritos-crusted fingers. In today's gaming culture, I think that's mostly a meme at this point. But in general I've noticed more gamers are health conscious, making efforts to be more active, or eat a bit healthier since we sit down to play for so many hours. Here's a list of my top picks for a "healthy" snack while gaming. I tried to choose things that weren't greasy or sticky because a) those foods are, in general, not that healthy (greasy ones) and b) no one wants to muck up their controller or keyboard with a sticky, oily mess. I've also noted at least one health benefit from each food. Bananas are a quick and easy snack to have while gaming. They even come in their own biodegradable wrapper! 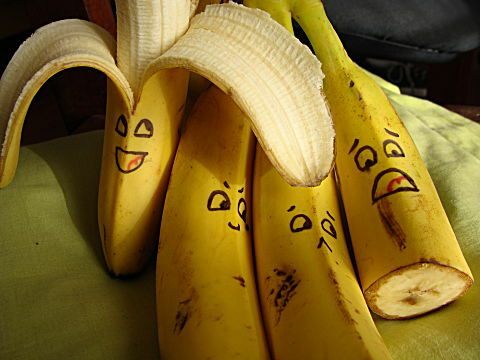 Bananas contain natural sugars and carbohydrates your body can use for energy, as well as being high in potassium. An increase in potassium intake along with a decrease in sodium intake is the most important dietary change that a person can make to reduce their risk of cardiovascular disease, according to Mark Houston, MD, MS, an associate clinical professor of medicine at Vanderbilt Medical School and director of the Hypertension Institute at St Thomas Hospital in Tennessee. Yogurt is easy to eat without a mess. You can have even have a few scoops during your game if you have a spare moment. The probiotics (beneficial bacteria) in some yogurts balance the microflora in your gut, which can aid with digestion as well as keep you regular. 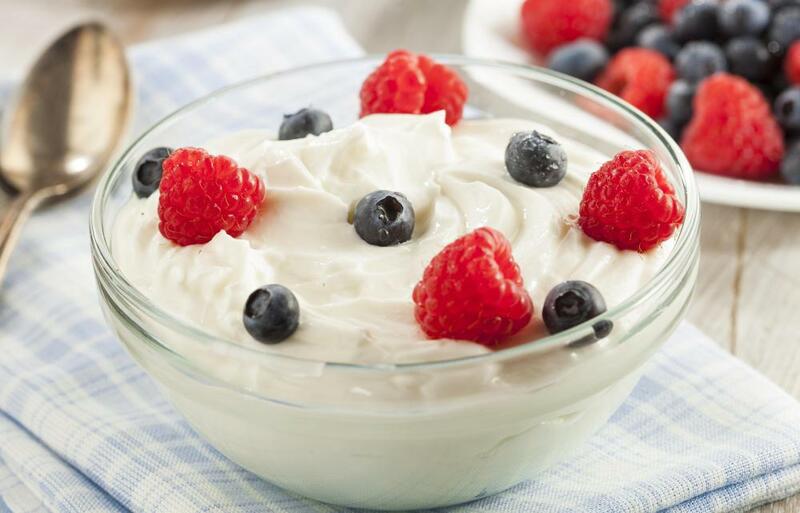 Greek yogurt in particular is known to a good source of probiotics, as well as being very high in protein. Even though a lot of yogurts can be kind of high in sugar I'd still classify it as a healthier option. Add fruits to your yogurt for more nutrients and fiber. 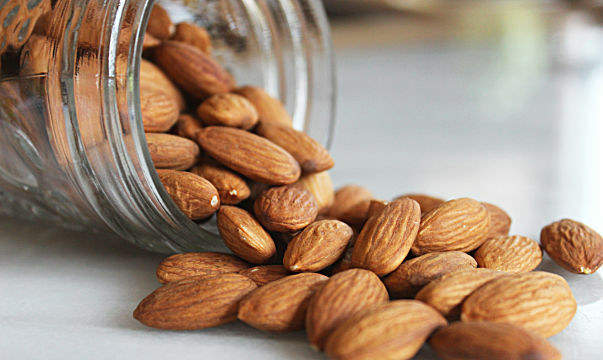 Almonds are great for an easy snack to help curb your hunger due to the fair amount of protein per serving. They're a source of many nutrients which help in the development and health of the human brain. Studies have shown that almonds in the diet is nutritive to the overall health and functioning of the nervous system. 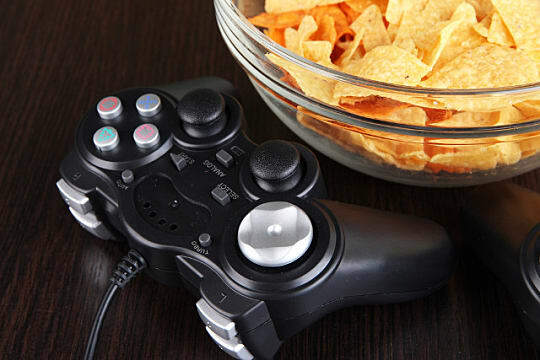 Best of all -- they're a non-greasy finger food that you can munch on while playing. Grapes are another finger food with little stickiness or grease. They're easy to grab a handful of between games. Each one and a half cup serving of grapes contains 25% of the recommended daily value of Vitamin C.
Vitamin C is important for growth and repair of all body tissues, helps heal cuts and wounds, and keeps teeth and gums healthy. 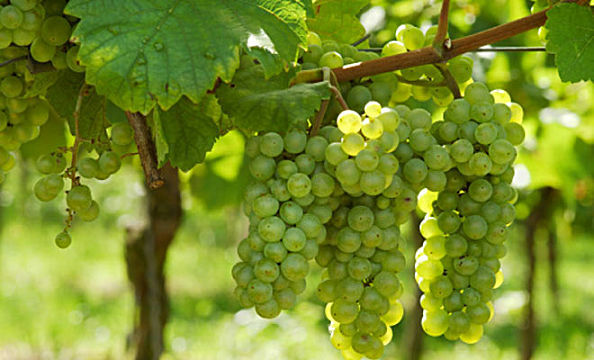 Grapes also contain antioxidants and fiber to help rid your body of toxins. The original, low calorie, healthy snack! Ok, so water isn't really a snack but it does help deal with an appetite. Often times we mistake hunger for thirst and many people don't drink enough water every day. 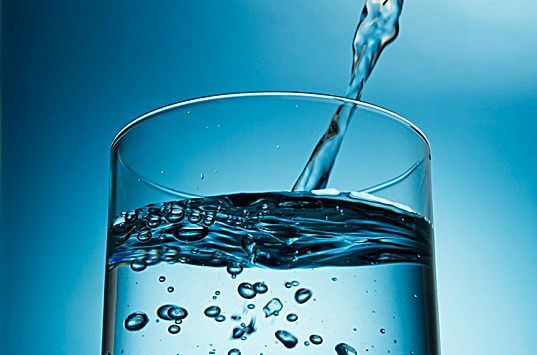 Drinking lots of water helps your body flush out toxins relieves fatigue, improves mood, treats headaches and migraines, and aids with weight loss. Water is also effective in keeping you awake, with no sugar or caffeine to cause you to crash. If you typically enjoy sugary beverages when you game, try some H2O instead. Those are my suggestions for some healthier gaming snacks. Personal preference may vary but the 5 mentioned above each have their own benefits. They may even benefit your gameplay! And if you want more ways to make your gaming habit healthier, check out these quick workouts you can do during long queue times.